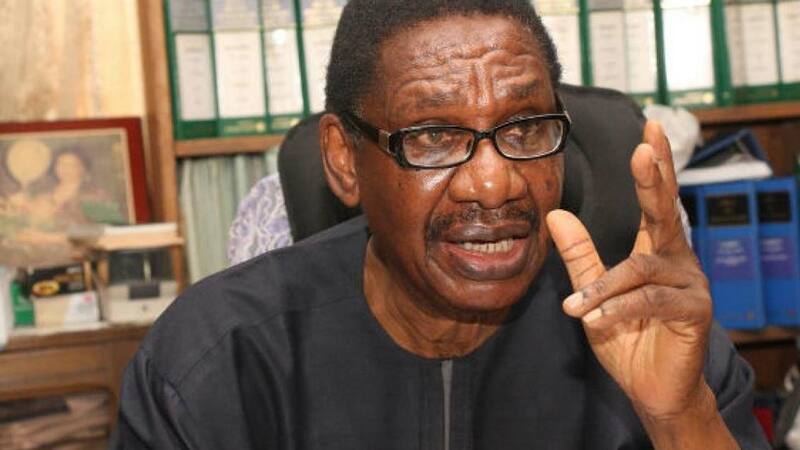 Itse Sagay, Chairman, Presidential Advisory Committee Against Corruption, has said President Muhammadu Buhari cannot give audience to embattled former Chairman of the Presidential Task Force on Pension Reforms, Abdulrasheed Maina. Sagay described the ex- Pension boss’ request to meet with the President as ridiculous and out of the question. Speaking with Vanguard, on Wednesday, Sagay also described Maina’s request as insulting to the country. On Maina’s claim that his life was in danger, Sagay said the ex-Pension boss should turn himself in to security agencies. He said, “The whole matter does not justify such ridiculous request. ‘’His request to meet with the President is out of the question. If every suspect has a whistle to blow and is therefore taken to the President, I don’t think the President will have any other job to do. ‘’Apart from the protocol and status, it is even insulting to the country. He can talk to the EFCC, ICPC and Police and if he wants a higher authority, he can meet with the Inspector-General of Police. So, he does not need to get to that level at all because nobody is going to allow that.